Nintendo Switch: most impactful console today? Is the Switch better than the PS4 and the XBox One? Pictured here is the most exclusive cosmetic version of the Nintendo Switch. Nintendo came out with a new console last year and with well-known game companies releasing new games, the Switch has exploded in popularity. Moving most consoles from house to house is a chore and most people play online with their friends rather than in person. For the Switch, this is not the case. Portability for this console is no issue because it’s a console and a hand-held gaming device. There are a couple parts to the console itself, a screen, two hand-held controllers called “joycons,” and a place to dock the screen to charge it as well as connect it to a TV. Also, its price is the same as a PS4 and an XBox One; the difference is the Switch has only been out for two years and those consoles have been out for six years. For all of the parts to the console, it’s about $300. This is very reasonable for something with so many applications to it. Due to these things, the Switch is widely popular. People from elementary to high school bring their Switches with them in the morning and play them with their friends during any free time they have at school. For high school seniors, this is a good way to pass the time and to make new acquaintances. Many people come together by talking about the games they play on the Switch. Nowadays it’s actually hard to find someone who hasn’t played a Switch before. 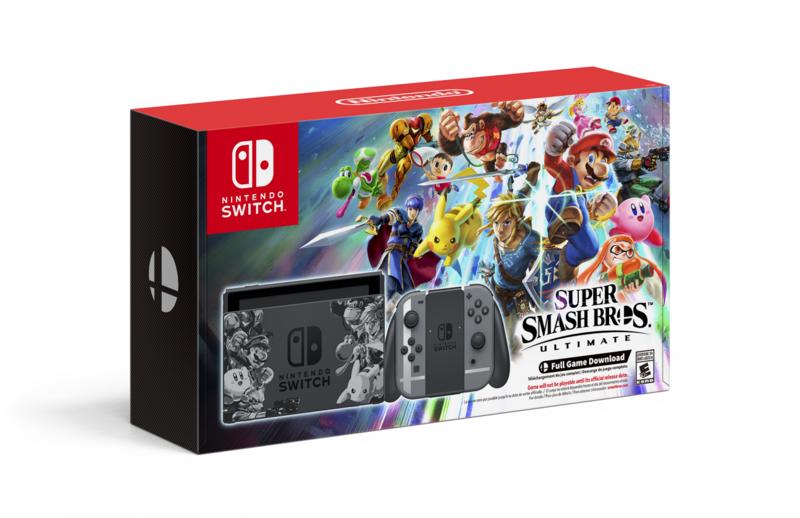 The explosion of popularity that the Switch has recently received is thanks in part to The Super Smash Bros titles. They just released a brand new game and the only console for it is the Switch. The first “Smash” game was released in 2001 and is still being played by fans to this day. The newest installment, Super Smash Bros Ultimate, made the Switch blow up in a big way. There are a whopping 74 characters in this game, all with a different moves and strategy to use when playing. This means it’s very rare for someone to mainly play the same character as another person. This also means that every match-up between players is different and people who play the game regularly enjoy learning how to play against other players. For the casual gamer, however, Smash isn’t that hard to learn how to play and it’s also rather addicting so they’ll be experts on their favorite character in no time. I think the Switch is the most impactful console because of all the different ways to use it. Having it to pass the boring times at school is some of the most fun students can have. People will just take it out of their bag and in less than 30 seconds they are playing a Smash match against their friends. That’s incredible for a gaming console and there really is nothing like it out right now. Finally, one of the best things about the Switch is how many people can play it together. Eight people can connect to the same Switch to play “Ultimate” as its casually called. Displaying this on a TV is obviously the best option because eight people trying to all see the small screen isn’t very feasible. But speaking from personal experience, playing an eight-man brawl with friends is one of the most chaotically fun things one can do.